In the controversy involving Indian cricketers Hardik Pandya and K. L. Rahul’s remarks on Koffee with Karan, the reaction of the show’s host Karan Johar has finally come out. Karan has broken his silence in this matter. In a recent interview to ET Now, Karan spoke openly in the matter and admitted that he is equally responsible for this controversy as Hardik and Rahul. 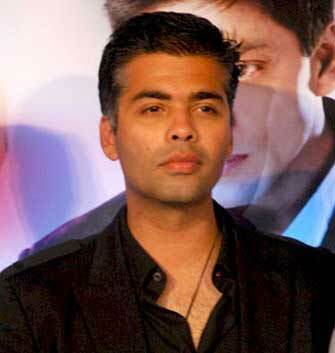 Karan said in this interview – I want to say that I consider myself responsible even in this matter. Because that was my show. I had called them both as guests and I asked them the same question. So I am also part of this mistake. I have spent so many nights without sleeping after this incident. How do I fix this damage? Who will listen to me. Now all of this has been out of my control. A few days ago, former cricketer Sreesanth also blamed Karan Johar for Pandya and KL Rahul fiasco. Sreesanth has said that in the case of cricketer Hardik and Rahul’s sexist comment, the show’s host Karan Johar is also equally responsible. Karan should have stopped them. He said that the host knows that when the guest has started speaking more. He should tell them what people want to hear. If you question someone without knowing anything about someone, then he will say things that he later regret. KLRahul and Hardik Pandya have been suspended from the Indian cricket team till an inquiry over their remarks on Koffee with Karan is over.